Three wheels is enough for the Nobe. 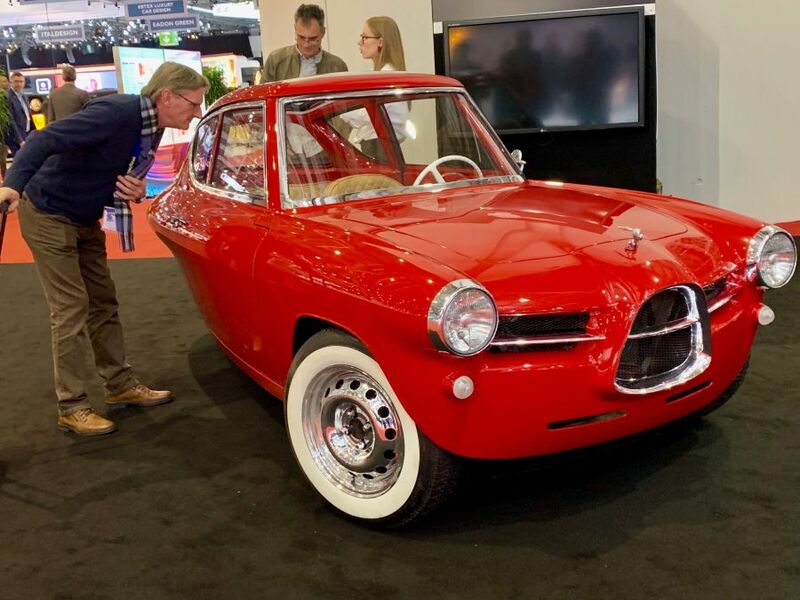 This funny-looking, three-wheeled electric number comes from Estonia. But the company behind the car thinks the United States could be its largest market. The vehicle is called Nobe. It features two doors, three seats, three wheels (with three-wheel-drive) and a removable hardtop. It’s yet another example of the kind of quirky and unexpected vehicles that turn up at the Geneva show. An electric, the car has a maximum range of 260 kilometers (162 miles). A base model starts at €37,000 ($41,800), while a GT model is priced at €47,000 ($53,000).